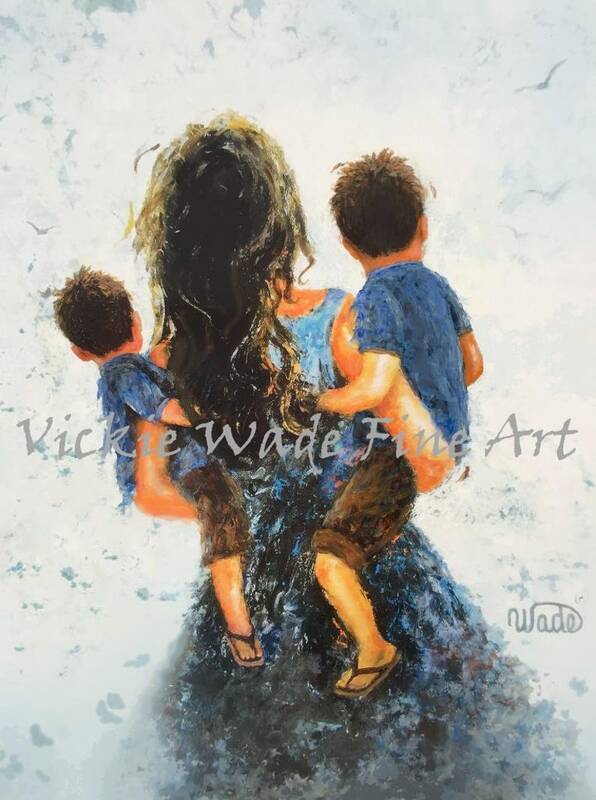 "Mommy, Carry Me Too"~~two sons is a large fine art print of an original oil painting of mine. * Image size 11" X 15" printed on 12" X 18" heavyweight smooth cover paper. Vertical format. at stores like Michael's Craft stores. 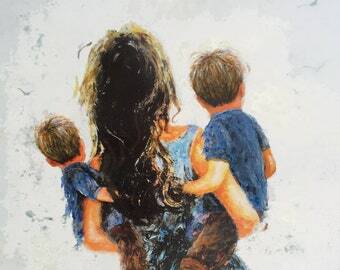 ***Please use the drop-down menu on the upper right to choose from Photo 1 Brunettes, or Photo 2 Sandy Haired Boys.